We make lobster delivery easy with packages that include everything you need to have an authentic New England feast right in your own kitchen, including live hard shell lobsters, claw crackers, and cooking instructions so your lobsters cook up just right. 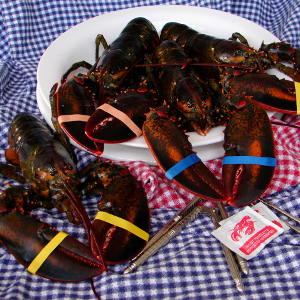 Lobster mail order for your own seafood feast or for a special gift is easy when you shop at Woodman’s of Essex! We make lobster delivery easy with packages that include everything you need to have an authentic New England feast right in your own kitchen, including live hard shell lobsters, claw crackers, and cooking instructions so your lobsters cook up just right. There’s just nothing like eating at Woodman’s, but when you can’t get to us, our commitment to sharing the seafood we love so much means we bring the Woodman’s flavor to you. Find out why we’re one of New England’s premiere seafood specialists!